Note: Gross income is shown on line 150 of your 2018 Notice of Assessment. Complete an application form and drop off at the Town of Banff, Community Support Services front desk. To re-apply: You must provide the above financial information on an annual basis to re-activate your Banff Access Card for this program. 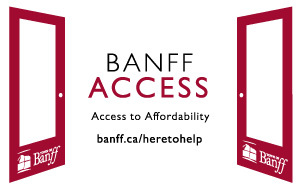 Please note: The Banff Access Card cannot be used in combination with other subsidies or discounts. 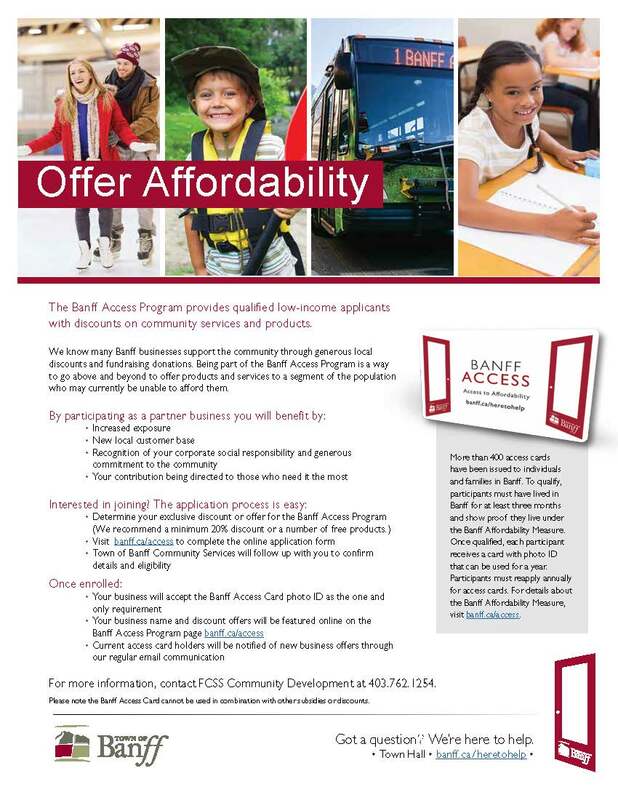 Be part of the the discounts offered through the Banff Access Card and provide qualified applicants affordable opportunities. The program is available for local businesses who go above and beyond to offer products and services to a segment of the population who may currently be unable to afford them. Learn more about participating in the program (PDF).